Iceland lies in the North Atlantic just under the arctic circle. It also lies between Europe and the American continent, Greenland being relatively nearby. 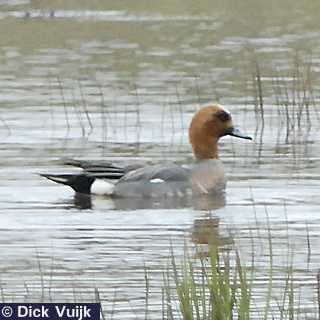 Although the majority of breeding species are "European" or species which are more or less common to both Europe as well as Northern America, Iceland also sees true American species breeding on Iceland but not elsewhere in Europe. Also Iceland is a major stop-over for birds who spend the winters in Europe (the continent, Great Britain and Iceland its-self) but breed in summer on Greenland and north-eastern Canada. 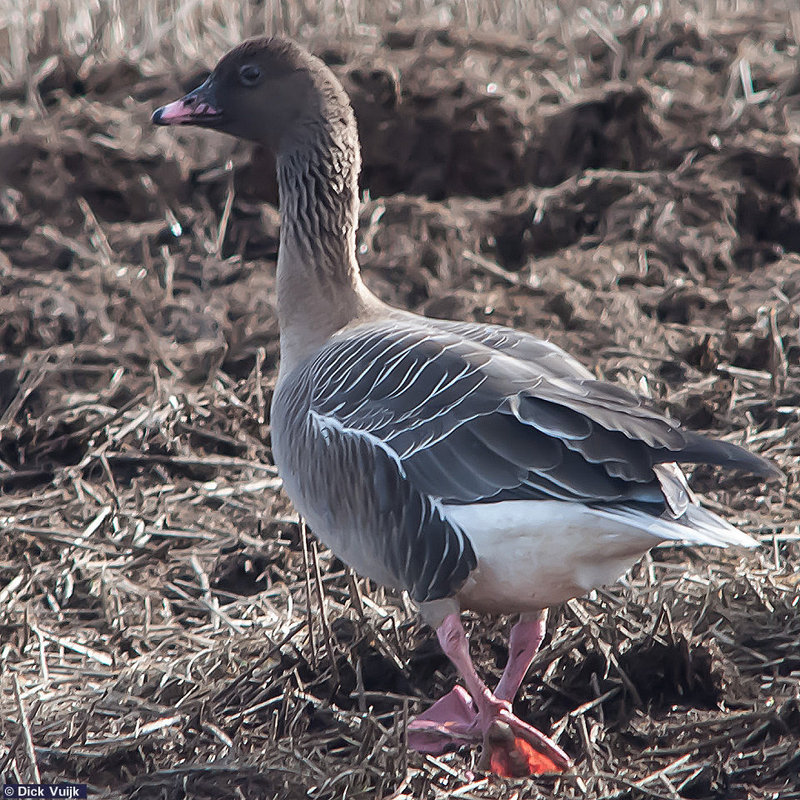 These species (foremost geese and waders) use Iceland's stop over to feed and strengthen them-selves for the last leg of their migratory trek. 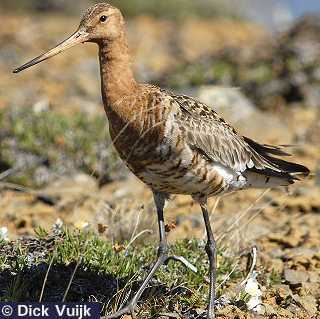 Next to its geographical location two other factors play a big role on bird the life on Iceland. First, the Iceland southern and western lowlands have exceptionally mild winters given its northern latitude. This leads to hosting very unlikely winter visitors like the common European Grey Heron from Norway. Second, fact is that there are very few (real) trees and forests on Iceland and summers are cool. These are unfavorable elements for many passerine's. Obviously Iceland has - being an island - a long coastline. 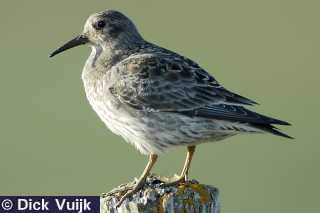 Both breeders of low coastal regions as well as cliff breeding birds have ample space for breeding. Especially the bird cliffs attract many visitors, both general tourists as well as keen bird watchers. A special feature is the lake Mývatn in northern Iceland where an exceptional amount of duck species and other waterfowl breed. For most tourists these birds are especially interesting. 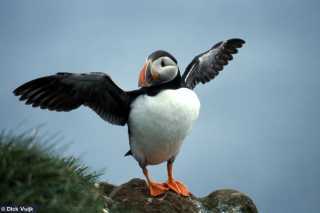 They can be found in huge numbers on the cliffs and show little fear towards tourists who can come very close but never reach their nests on the cliffs. Even the egg-gathering by Icelanders through the centuries apparently has not made them very shy, nest protection is a very strong instinct! A group of related birds which are common on the cliffs are the auks. 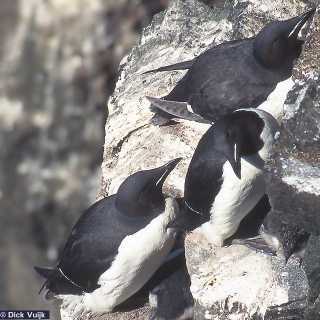 The steep perpendicular cliffs are used mostly by the common guillemot's ( Uria aalge) common guillemot's ( Uria aalge) and the closely related Brünnich's guillemot ( Uria lomvia) Brünnich's guillemot ( Uria lomvia) (a more northern close relative of the common guillemot, both breed on Iceland). 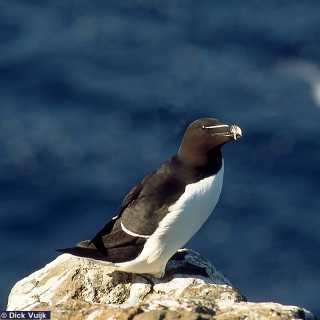 On higher parts of the cliffs the razorbill ( Alca torda) razorbill ( Alca torda) is more common on higher parts of the cliffs. The popular puffin (Fratercula arctica) puffin (Fratercula arctica) breeds in self dug hollows on the edge of the rocks and grass turfs (for photo's see main pages on birds in this site). Because the latter can be found so close to the edge and because it will stay near their holes tourists can approach them easily. 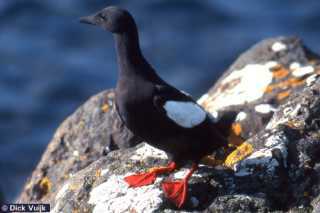 The black guillemot ( Cepphus grylle) black guillemot ( Cepphus grylle) , also common on Iceland (esp. in the Breiðafjörður), breeds in rock hollows of lower coast lines. 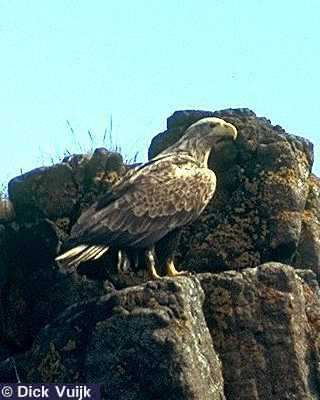 Other birds are also typical for the cliffs. 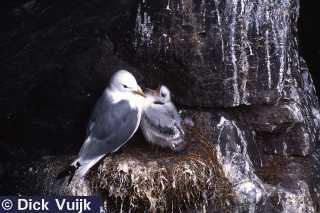 These are the kittiwakes ( Rissa tridactyla) kittiwakes ( Rissa tridactyla) and the fulmar ( Fulmarus glacialis) fulmar ( Fulmarus glacialis) Kittywakes breed only on cliffs at the sea shore while fulmars can also be found much further inland and also on high mountain slopes along the coast. 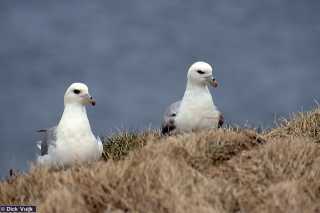 Fulmars resemble gulls but are in fact member of the Petrel family. 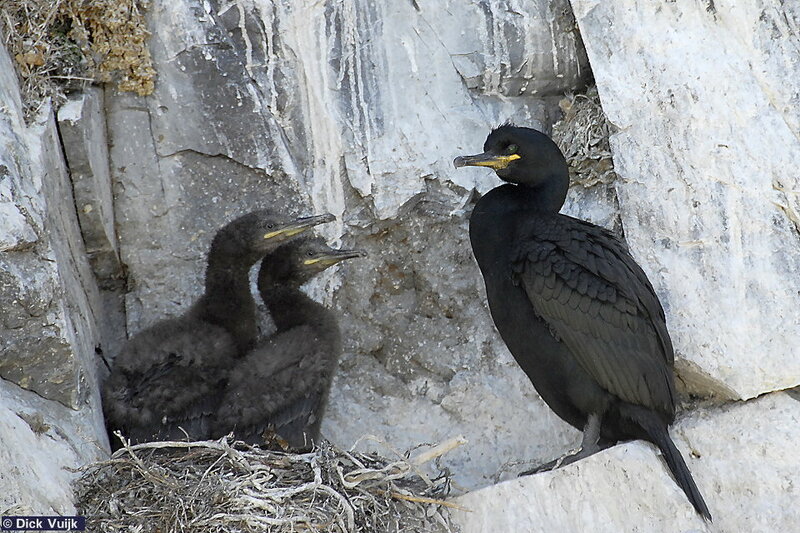 Shags ( Phalocrocorax aristotelis) Shags ( Phalocrocorax aristotelis) and gannets ( Morus bassanus) gannets ( Morus bassanus) are also cliff breeding birds. 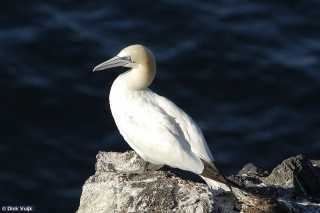 Shags are more common in the western region (Snaefellssness and Breiðafjörður) while gannets frequent the south-western coasts of Iceland. There are many places where one can visit these cliffs. 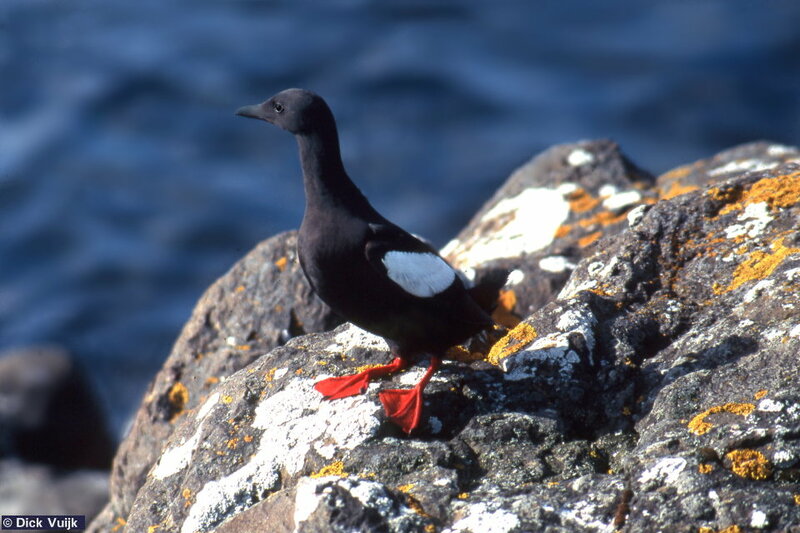 Well known are the Vestmannaeyar (small islands south-east of Reykjavik), Arnarstapi on the Snæfellsnes peninsula (mainly kittywakes), the Breiðafjörður area (check in at Stykkisholmur, see black guillemots on Flatey island). 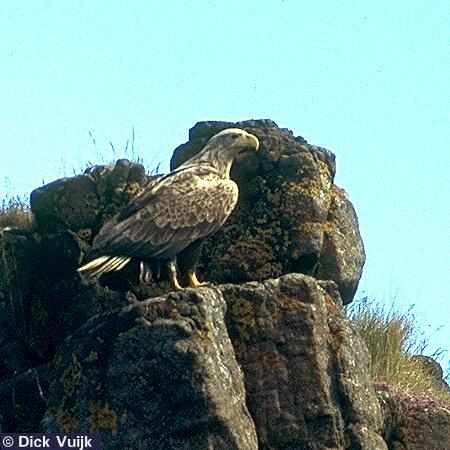 The Breiðafjörður is also famous for the white-tailed eagle ( Haliaeetus albicilla) white-tailed eagle ( Haliaeetus albicilla) . 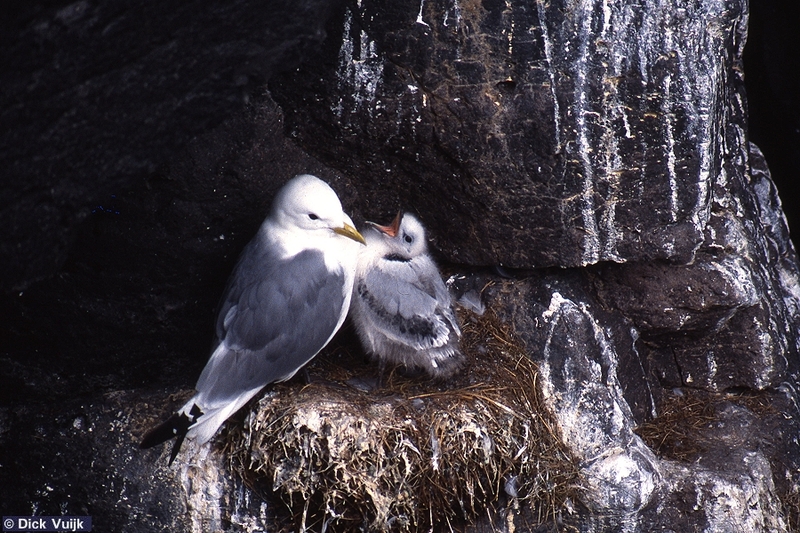 By far the most famous place to visit cliff breeding birds is the Latrabjarg, located on the westernmost tip of the Vestfjord district. Other places of interest are the Grimsey island north of mainland Iceland and in the south: Ingo and Dyrhólaey. This list is however, far from complete! 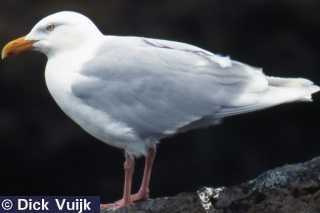 Many different gull species frequent Iceland. The kittywake is the only cliff breeder. 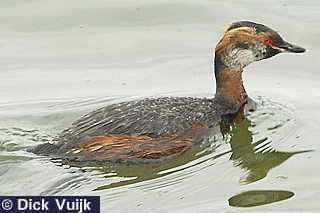 All others breed in colonies on lowland coastal regions and marshes. 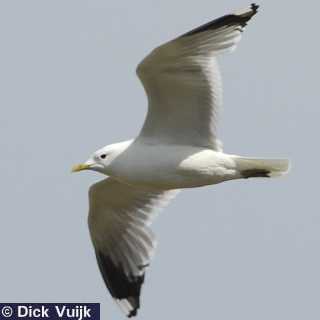 By far the most inland occurring gull is the black-headed Gull (Larus ridibundus) black-headed Gull (Larus ridibundus) . 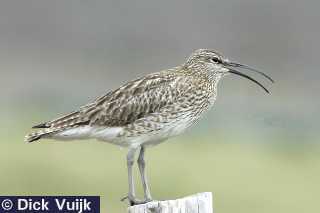 It is a species very common throughout Europe and is extremely adaptable. Thus it can also make use of wastes from human settlements. On Iceland one can see them also in highlands where tourists concentrate! 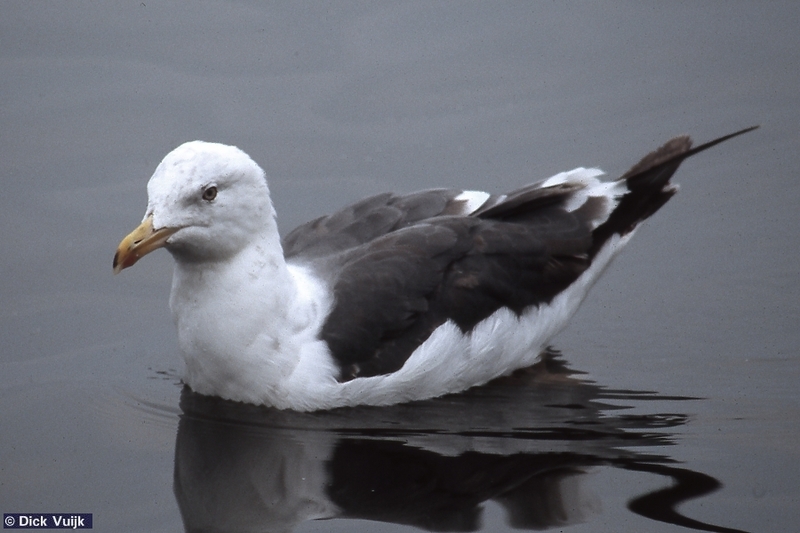 Gulls generally are adaptable birds. 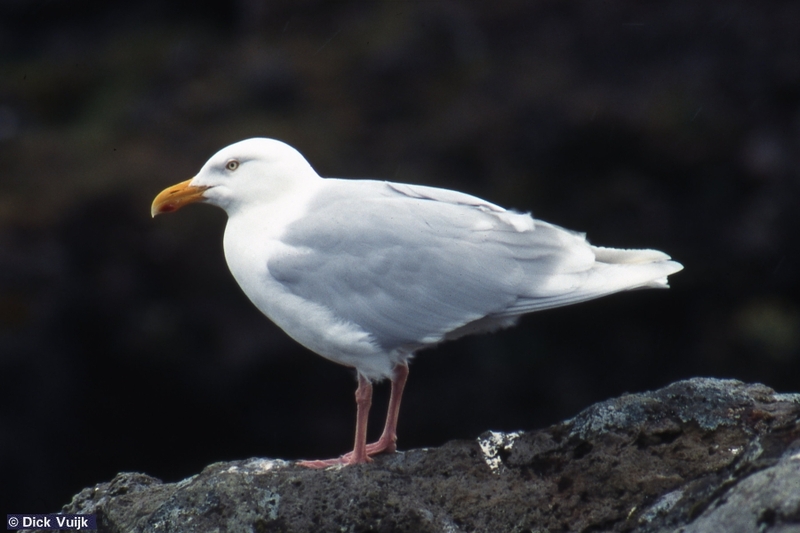 On Iceland these are common: the Herring Gull (Larus argentatus) Herring Gull (Larus argentatus) , the Glaucus Gull ( Larus hyperboreus) Glaucus Gull ( Larus hyperboreus) , the Common Gull (Larus canus) Common Gull (Larus canus) , the Great Black-backed Gull ( Larus marinus) Great Black-backed Gull ( Larus marinus) and the Lesser Black-backed Gull (Larus fuscus) Lesser Black-backed Gull (Larus fuscus) . There is one special feature about the gulls on Iceland. This concerns the hybridization of the Herring Gull and the Glaucous Gull. 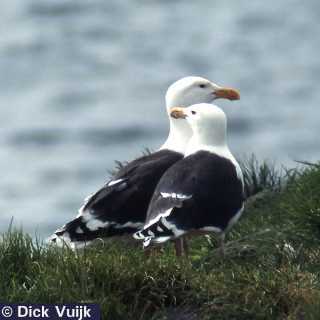 The Herring Gull only settled in the early part of the 20th century. Pure Glaucous Gulls are becoming rarer. 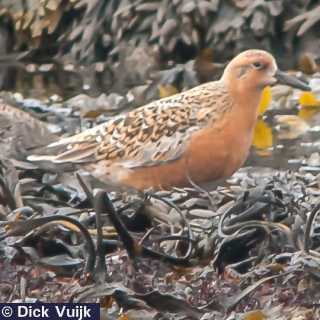 They are still rather common in the western and north-western coastal regions of Iceland. 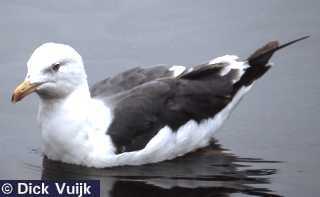 Other gulls are non-breeders on Iceland but are winter guests. One of them is, strangely enough, is the Iceland Gull ( Larus glaucoides) Iceland Gull ( Larus glaucoides) (the English name is confusing! 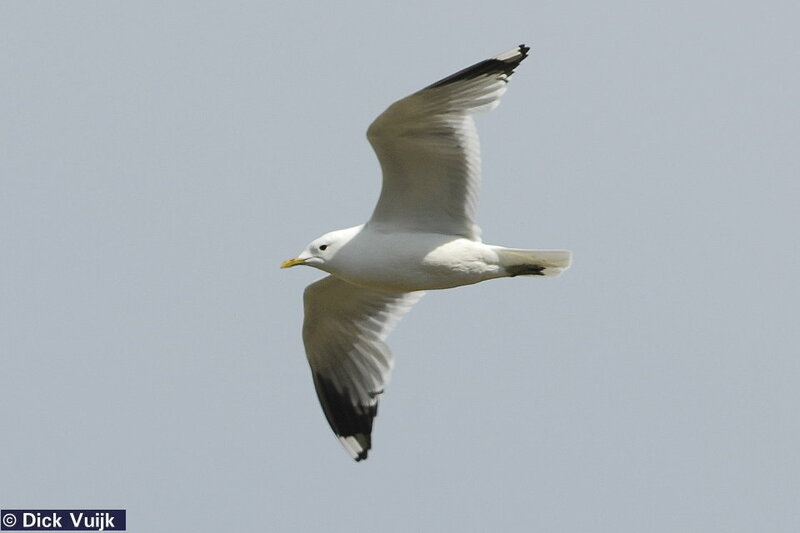 ), another is the high-arctic Ivory Gull (Pagophila eburnea). 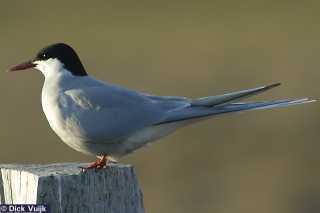 Closely related are the terns and skuas. The Arctic Tern ( Sterna paradisaea) The Arctic Tern ( Sterna paradisaea) is very common, especially in grassy areas where they breed. 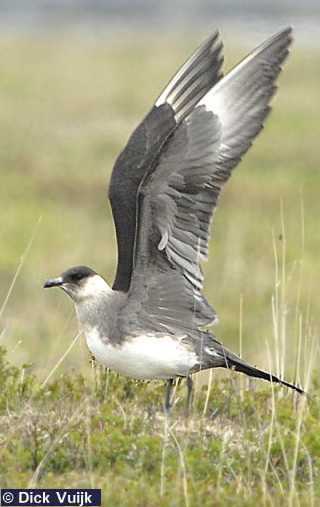 Two common skuas are the Great Skua ( Stercorarius skua) Great Skua ( Stercorarius skua) and the Arctic Skua (Stercorarius parasiticus) Arctic Skua (Stercorarius parasiticus) . 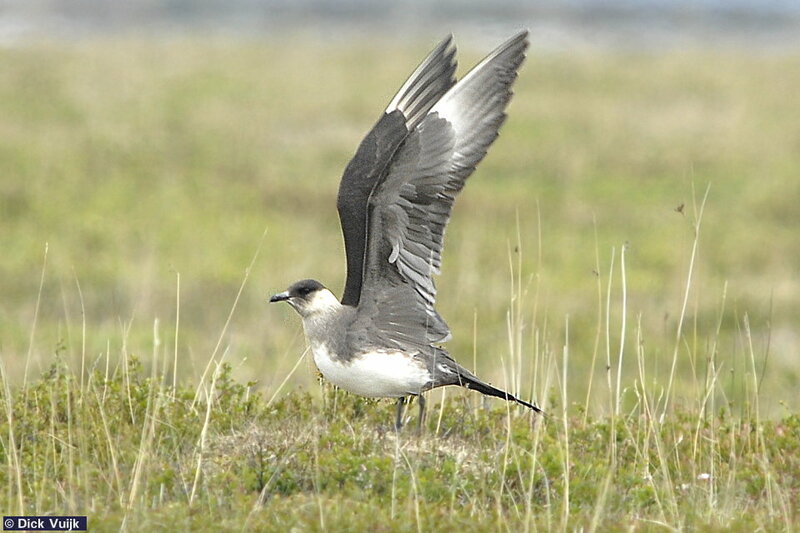 The Great Skua is most common along the south coast - their main breeding grounds are the barren sand plains along the south coast (Skeiðarársandur), while the Arctic Skua frequents many coastal regions. 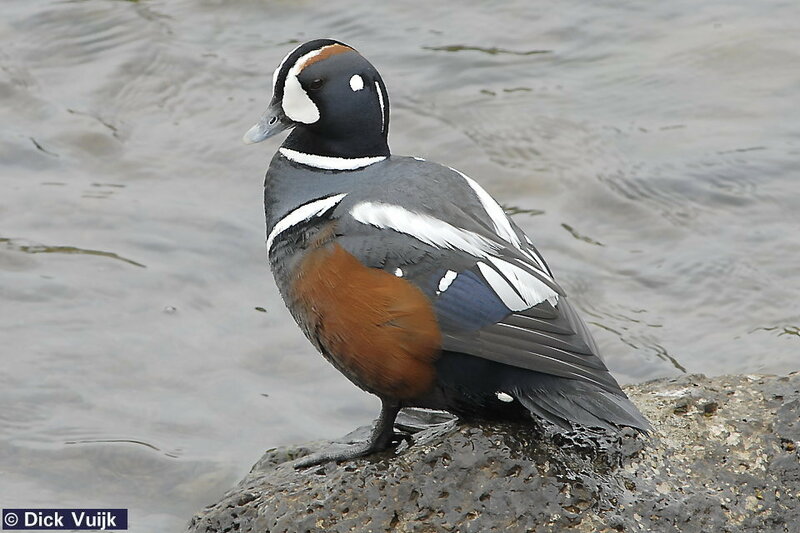 On Iceland common waterfowl species belong either to the family of the ducks (including swans and geese) or to the grebe family and the closely related diver family (in America known as loons). 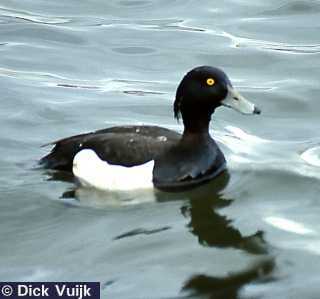 Usually one associates them to fresh water birds. 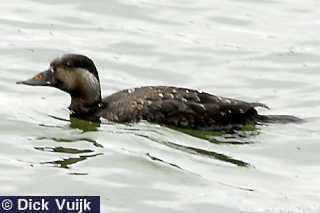 However the Eider Duck (Somateria mollissima)) Eider Duck (Somateria mollissima)) is a bird of (shallow) seas that seek their nesting grounds along the coasts. 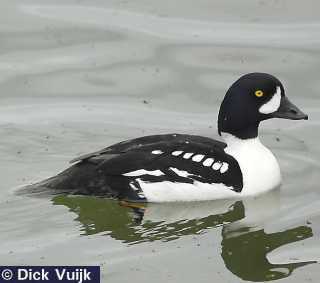 Other ducks, like the Common Scoter (Melanitta nigra) Common Scoter (Melanitta nigra) , the Long-tailed Duck (Clangula hyemalis) Long-tailed Duck (Clangula hyemalis) and the Harlequin Duck (Histronicus histronicus) Harlequin Duck (Histronicus histronicus) breed in/along fresh water environments but seek the seas and oceans outside the breeding season. The same is true for divers/loons. 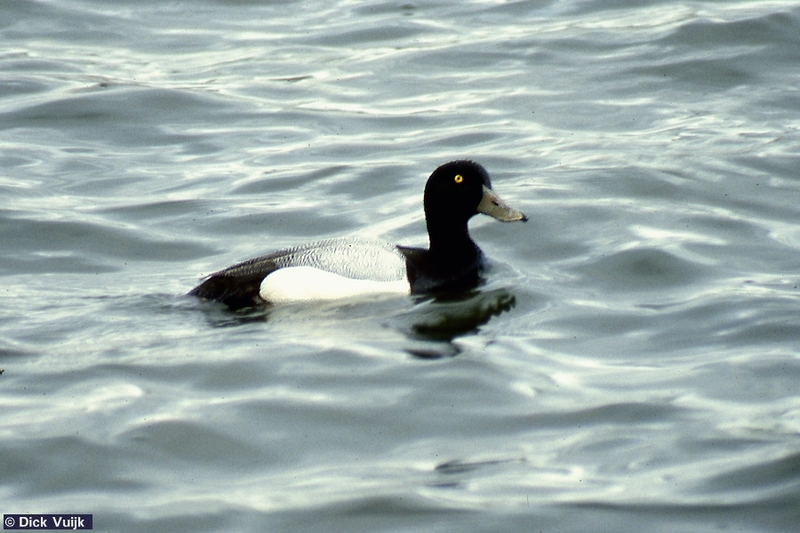 Although one can observe many species of waterfowl all over Iceland Mývatn is by far the most interesting place for observing waterfowl. 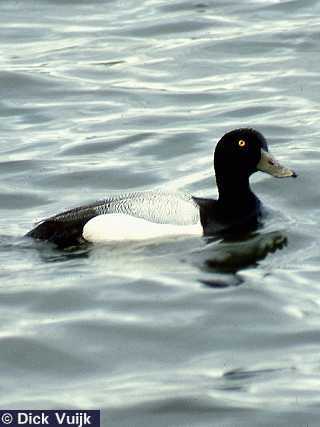 Along this lake and areas surrounding the lake more duck species breed than any other place in Europe. 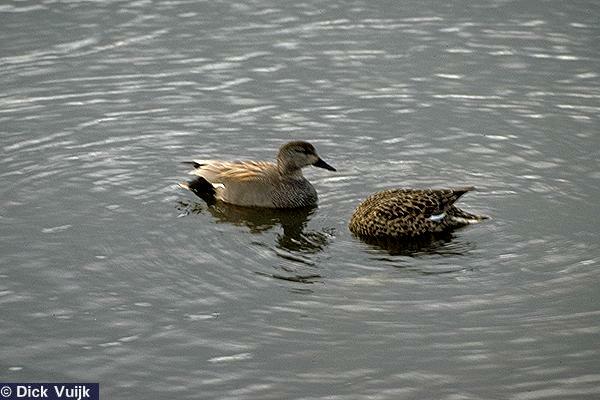 Common dabbling ducks are Wigeon (Anas penelope) Wigeon (Anas penelope) , Gadwall (Anas strepera) Gadwall (Anas strepera) and Teal (Anas crecca) Teal (Anas crecca) . 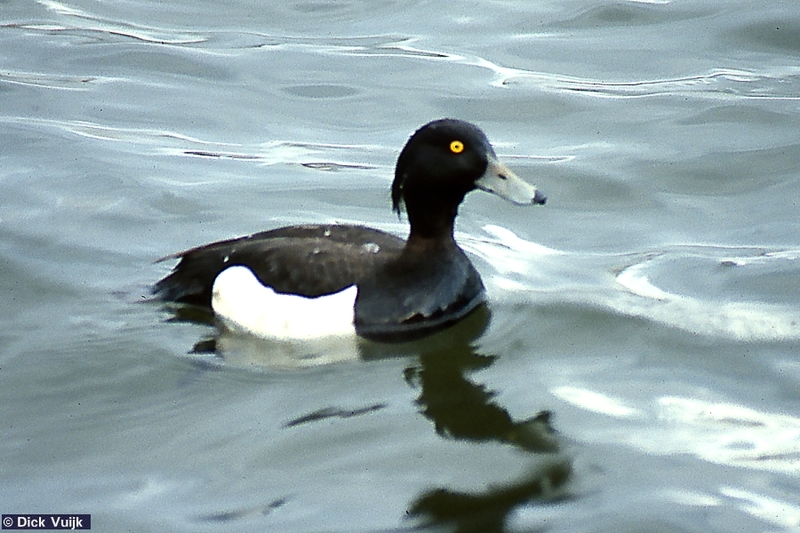 Common diving ducks are the Tufted Duck (Aythya fuligula) Tufted Duck (Aythya fuligula) , the Greater Scaup (Aythya marila) Greater Scaup (Aythya marila) , the Long-tailed Duck (Clangula hyemalis) Long-tailed Duck (Clangula hyemalis) , the Barrow's Goldeneye (Bucephala islandica) Barrow's Goldeneye (Bucephala islandica) and the Common Scoter (Melanitta nigra) Common Scoter (Melanitta nigra) . Where the lake flows into the Laxá river the Harlequin Duck (Histrionicus histrionicus) Harlequin Duck (Histrionicus histrionicus) is very common. This list though is not complete! An extensive site about Lake Mývatn is maintained by the Biological Station of Mývatn . 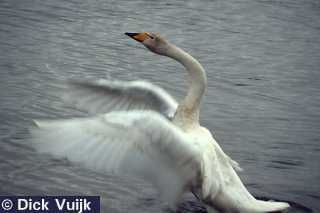 In the lowlands both the Whooper Swan (Cygnus cygnus) Whooper Swan (Cygnus cygnus) and the Greylag Goose (Anser anser) Greylag Goose (Anser anser) are breeders, the latter much more common than the first. 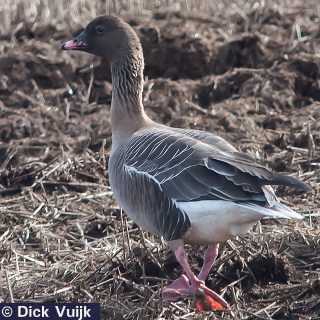 In the highlands the Pink-footed Goose Anser brachyrhynchus Pink-footed Goose Anser brachyrhynchus breed in vegetated areas (often referred to highland oasis). 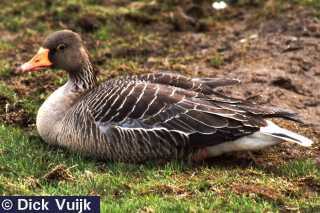 Other geese species are passing migrants from Greenland. 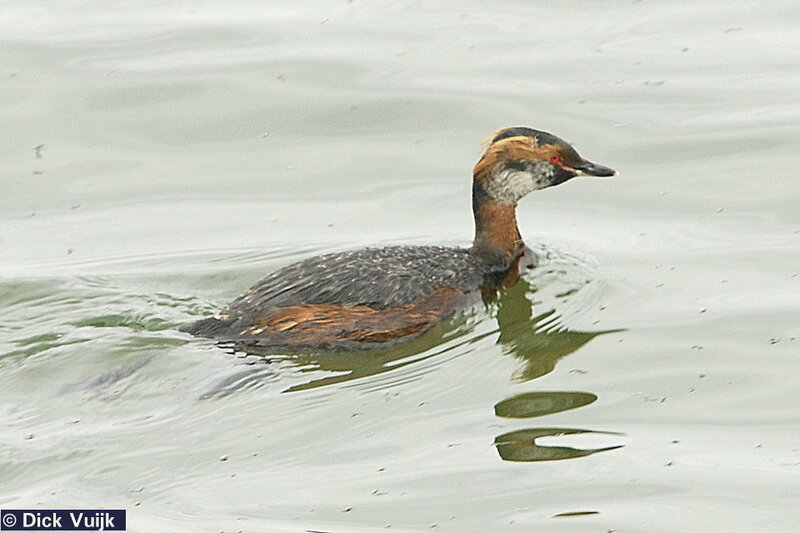 Lake Mývatn also has quite a few breeding pairs of the Slavonian Grebe (Podiceps auritus) Slavonian Grebe (Podiceps auritus) which is rather rare in most other regions of Iceland. 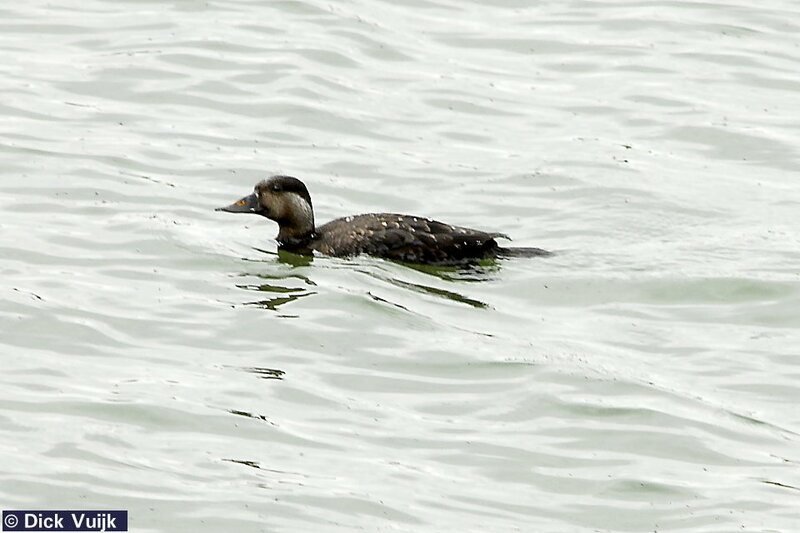 The two loon species though can be found breeding scattered all over Iceland. 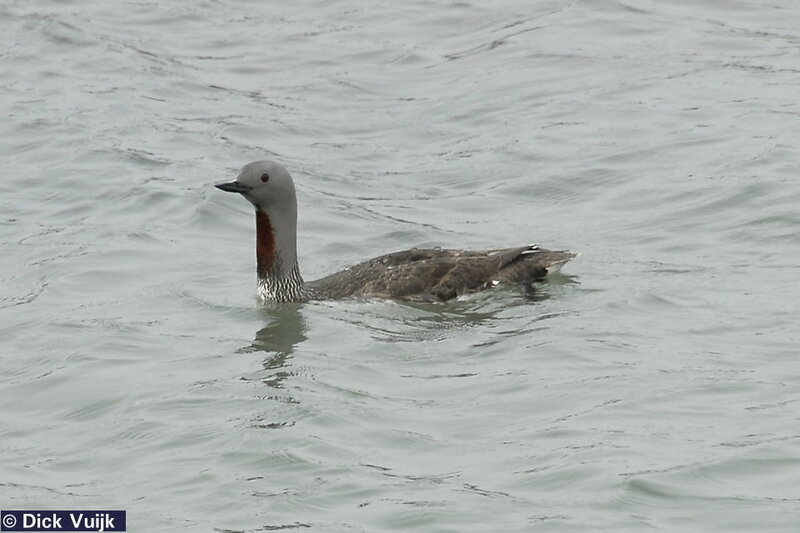 They are the Great Northern Diver (Gavia immer) Great Northern Diver (Gavia immer) , an American species and the Red-throated Diver (Gavia stellata). 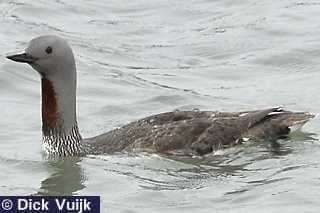 Red-throated Diver (Gavia stellata). 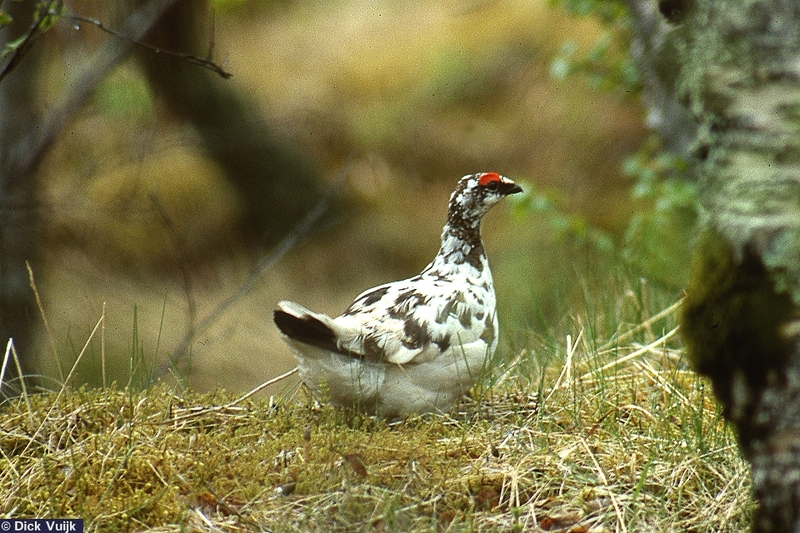 From an ecological point the Ptarmigan (Lagopus mutus) Ptarmigan (Lagopus mutus) is a vital element in the food chain of Iceland. 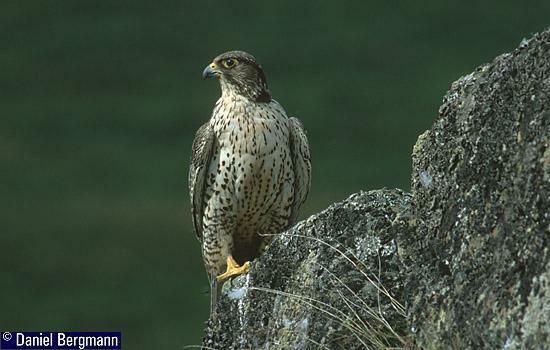 It is the main source of birds of prey like the Gyrfalcon (Falco rusticolus) Gyrfalcon (Falco rusticolus) and the Snowy Owl (the latter is mainly a winter visitor) as there are no lemmings on Iceland. 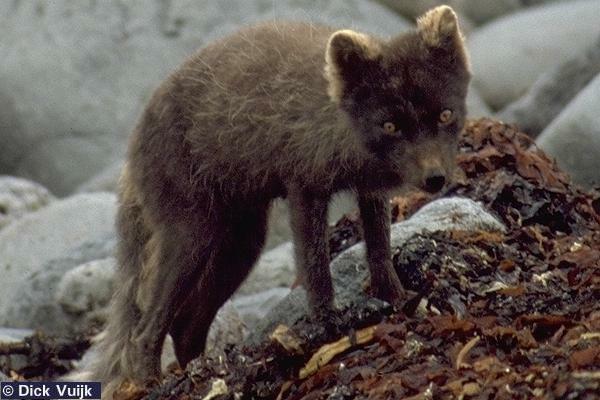 Another predator that relies much on the ptarmigan and also on bird (chicks) is the polar fox polar fox . 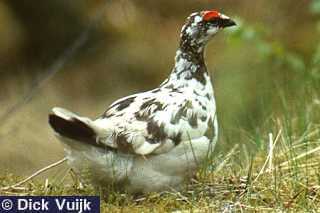 Unlike many popular beliefs this animal hardly - if not at all - preys on farm animals like sheep (in fact the hard conclusion from an environmental perspective related to Iceland is that sheep do a lot of damage (soil The ptarmigan's are a popular hunting bird and as a result quite shy in most regions. However, where the hunt is forbidden they become quite tame. This is the case on the island of Hrisey (near Akureyri) and the Skaftafell National Park. 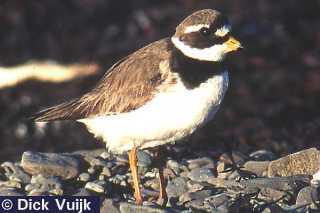 In heather areas of Iceland many stilts breed who could be called marsh birds (see below). 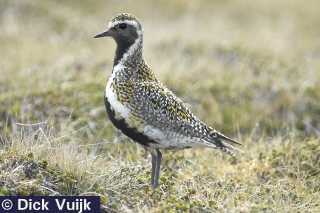 Small but conspicuous is the Golden Plover (Pluvialis apricaria) Golden Plover (Pluvialis apricaria) . As there are many heather lands it is quite common. 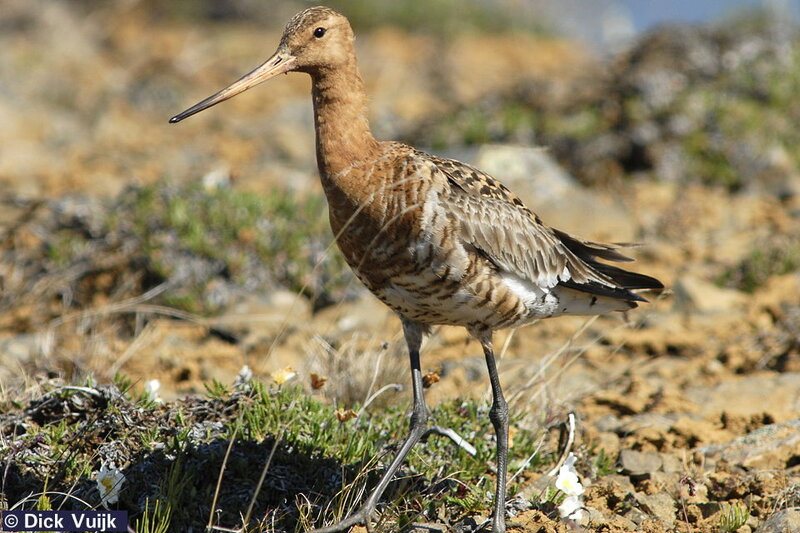 Also common are the larger stilts the Whimbrel (Numenius phaeopus) Whimbrel (Numenius phaeopus) and the Black-tailed Godwit (Limosa limosa) Black-tailed Godwit (Limosa limosa) . 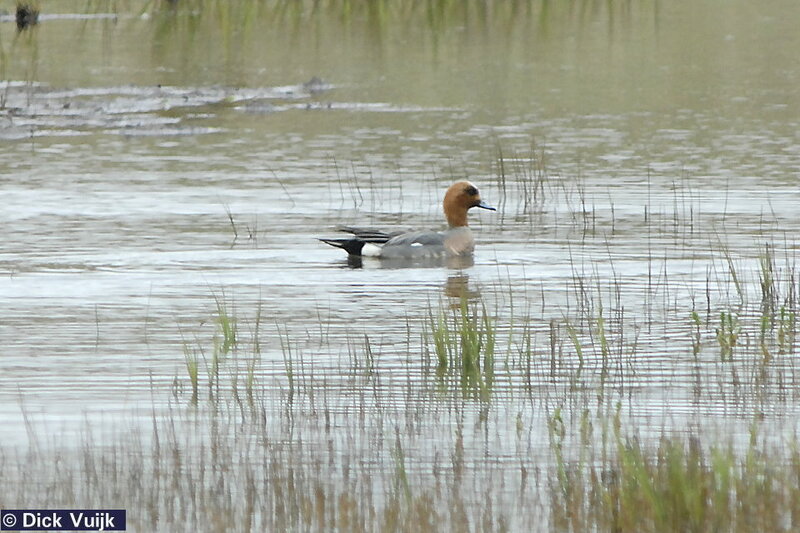 These birds can be found in marsh lands and wet grasslands too. For passerine's in heather lands and scrubs see section on Passerine's. Next to the birds of sea cliffs and sea birds like gulls, the coasts of Iceland are frequented by many birds which can be found along the seaside. 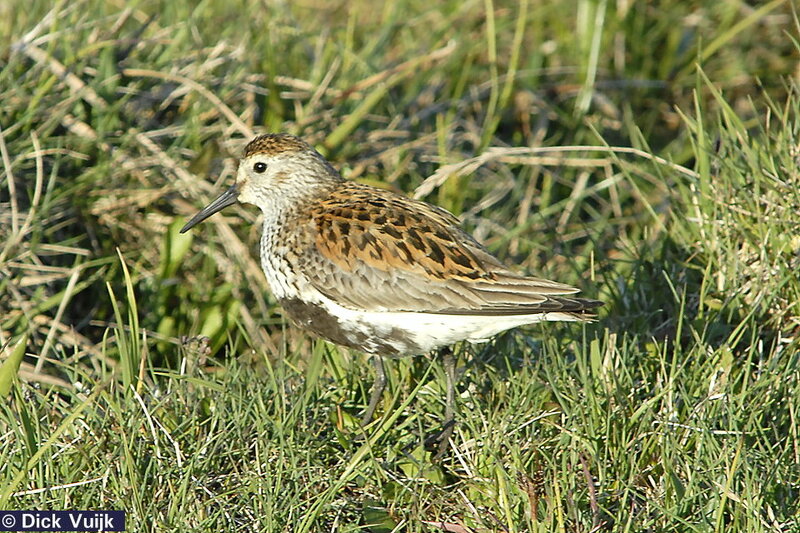 They are the waders of the coast marshes. 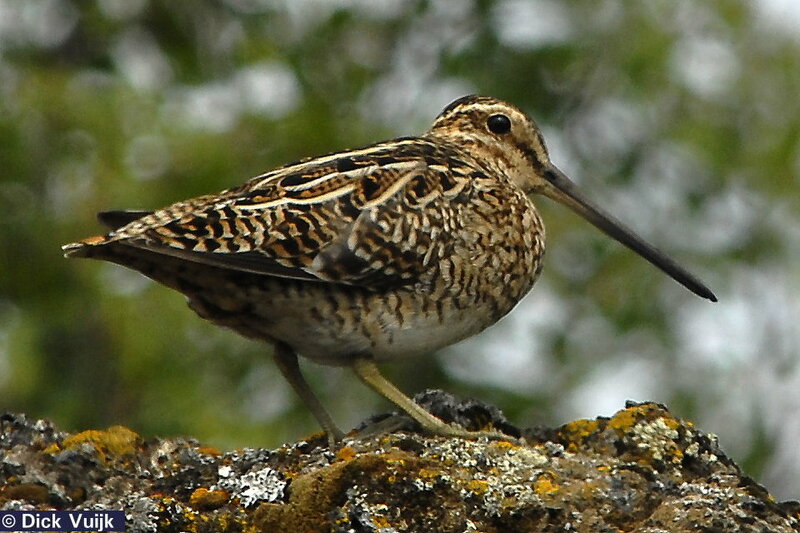 As seen in previous paragraph, some waders can be found inland too, esp. 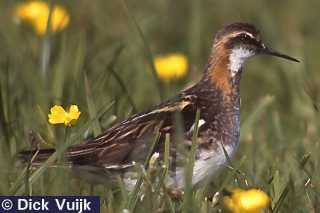 in the lowland regions of Iceland. 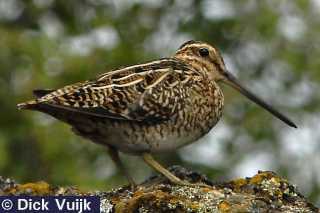 One of those is the Snipe (Gallinago gallinago) Snipe (Gallinago gallinago) . It can be found in grasslands. 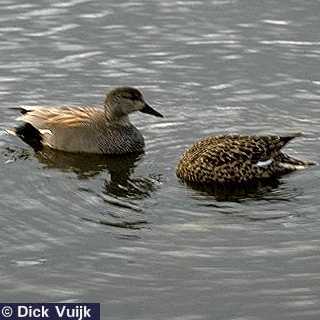 The easiest characteristic to recognize the specie is when it displays its courtship flight. Then it makes a rhythmic sound with the pens of its (outer) tail feathers. On the ground it hides by pressing its body in the grass which is an excellent camouflage. 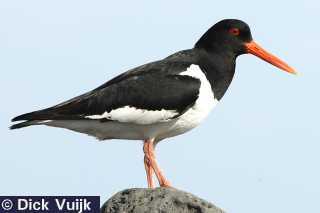 The snipe is middle-sized wader as is the Oystercatcher (Haematopus ostralegus) Oystercatcher (Haematopus ostralegus) . 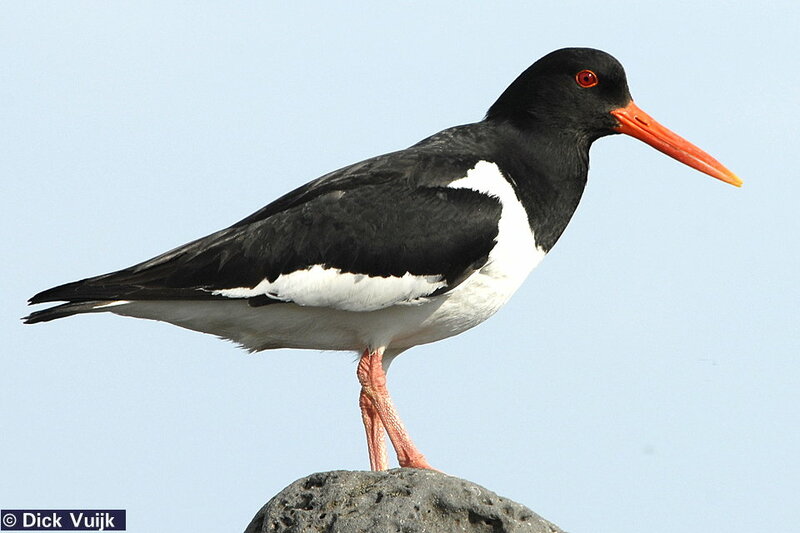 This black and white bird with red beaks, legs and eyes is a noisy bird with high pitched "peet'apeet "calls. 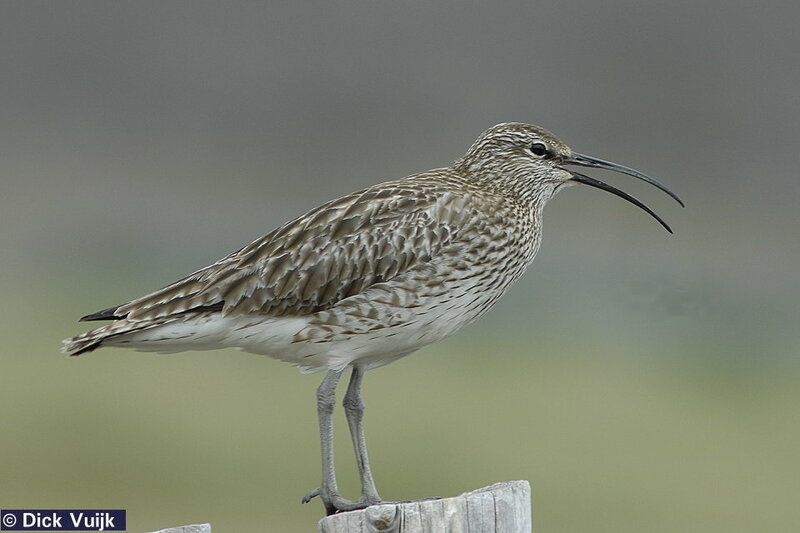 Birds not yet mentioned are smaller waders. 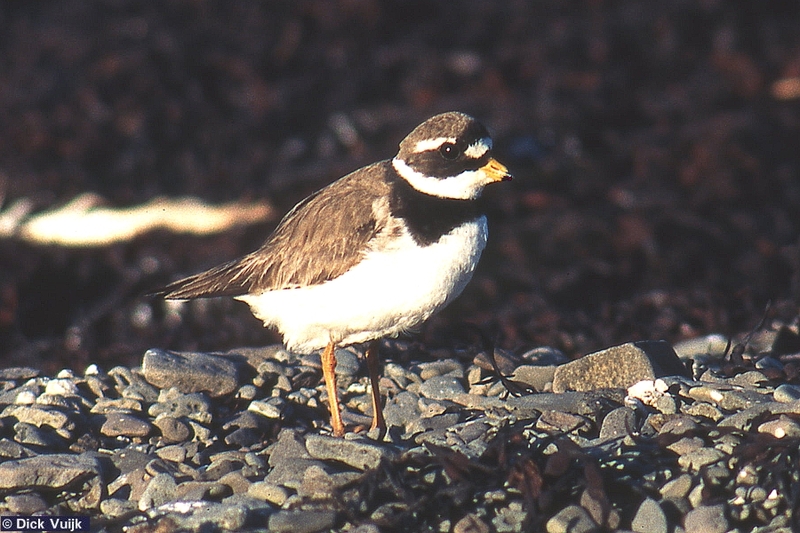 Common are the Ringed Plover (Charadrius hiaticula) Ringed Plover (Charadrius hiaticula) , the Dunlin (Calidris alpina) Dunlin (Calidris alpina) , the Purple Sandpiper (Calidris maritima) Purple Sandpiper (Calidris maritima) , the Turnstone (Arenaria interpres) Turnstone (Arenaria interpres) , and the Red-necked Phalarope (Phaleropus lobatus) Red-necked Phalarope (Phaleropus lobatus) . The turnstone is foremost a passing migrant but can nevertheless be seen during most part of the year on Iceland. 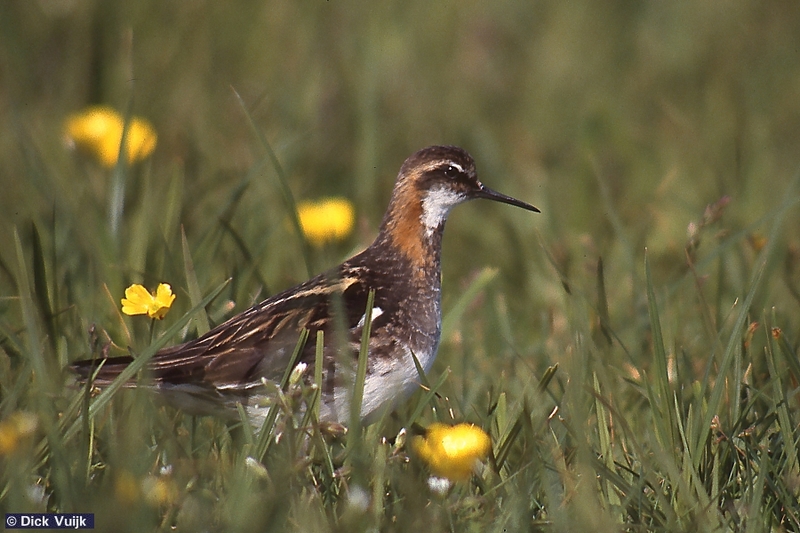 The Red-necked Phalarope can be found on fresh waters, also far inland, although it heads for the ocean outside the breeding season. 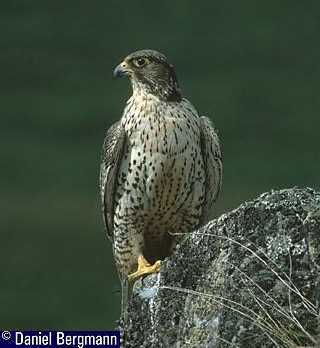 It is an interesting bird to watch, not in the least because it is not very shy. 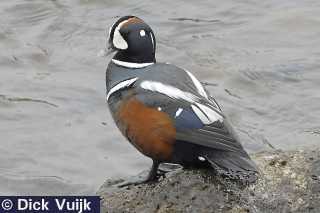 For specific information on these birds please see the main pages of the bird of Iceland. When taking into account that Iceland lies far away from the mainland too, it becomes logical that both numbers of passerine species and numbers of passerine individual birds are low. 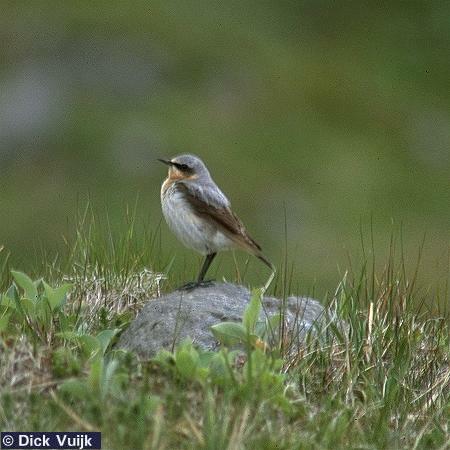 Many specie-rich groups of the passerine's in Europe, like the warblers and twits, do not occur on Iceland (except for rare sightings, but as any bird watcher can tell you have to bare in mind that one can spot any bird of the world almost anywhere on the world). Passerine's The low number of passerine species make it quite easy to understand the passerine's of Iceland! 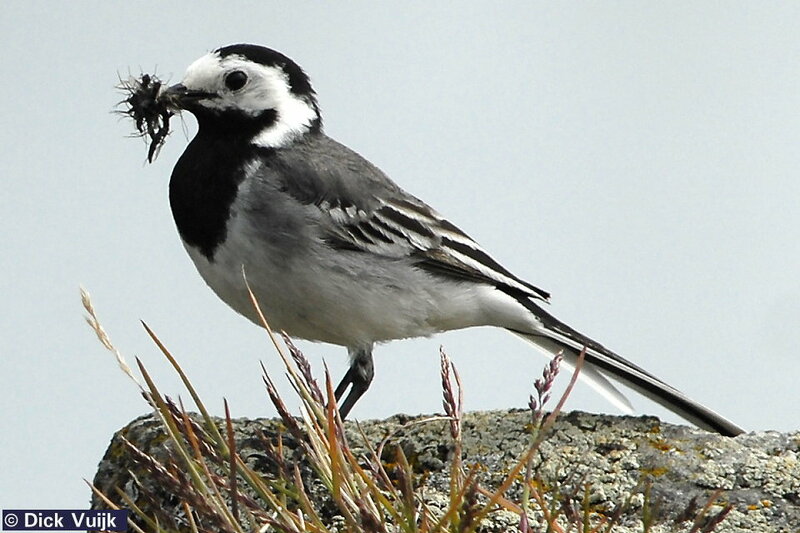 The three most common insect-eating birds are the wheatear (Oenanthe oenanthe) wheatear (Oenanthe oenanthe) (typical for rough country), the white wagtail (Motacilla alba) white wagtail (Motacilla alba) (both in urban areas and wilderness, often near water) and the meadow pipit (Anthus pratensis) meadow pipit (Anthus pratensis) (in many different habitats). 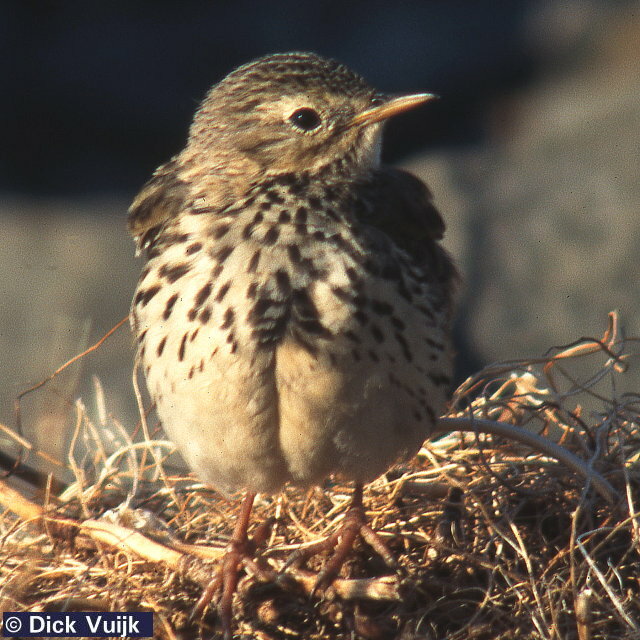 Because of their reliance on insects they (must) migrate in winter to southern Europe and Africa. 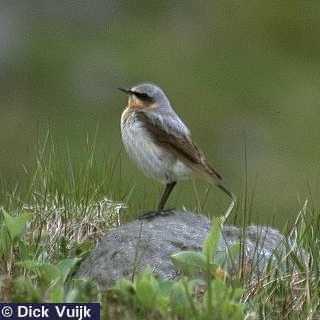 Martins and swifts can be found occasionally on Iceland but there are no established populations to my knowledge. 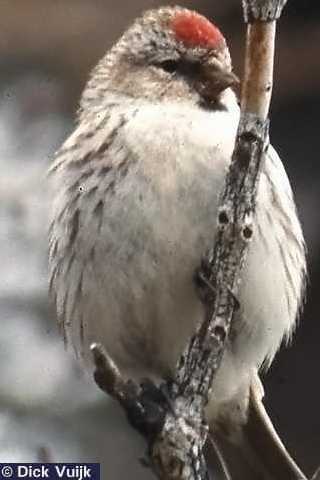 Generalist passerine's are birds that can make use of a wide variety of food sources. 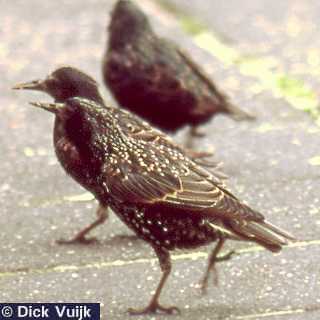 Common on Iceland are the starling (Sturnus vulgaris) starling (Sturnus vulgaris) (mostly around human settlements), the redwing (Turdus iliacus) (likes trees, therefore often in gardens, but also in other habitats), and the wren (Troglodytes troglodytes) wren (Troglodytes troglodytes) (birch wood). Because these birds can switch to other food sources like berries, plant buds, etc. they may stay during the winter. 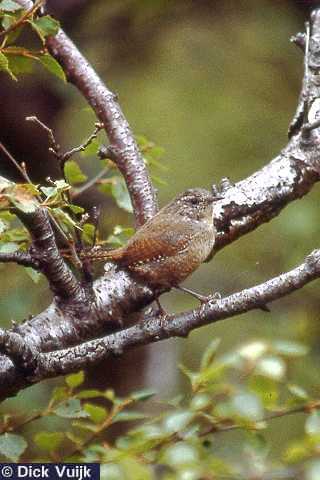 Wrens are indeed full residents, while many individuals of the other two species do migrate but some sty. 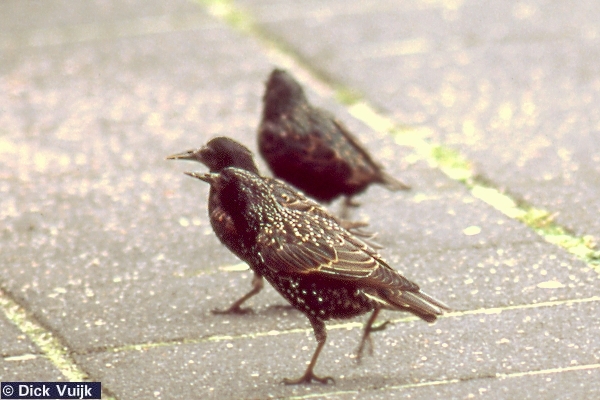 In case of the starling non-Iceland summer residents stay on Iceland during the winter. Redwings migrate only small distances (British Isles, Western Europe) where they also feed on non-insect sources. Other generalists are the blackbird and fieldfare (often winter visitors!). 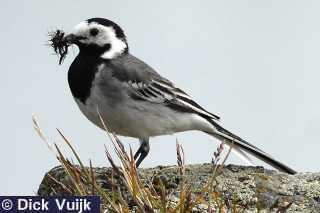 Specialized seed-eating birdsalways feed their chickens first with insects as the very young birds cannot digest other food. One has to bear in mind this when seed-eaters are mentioned. 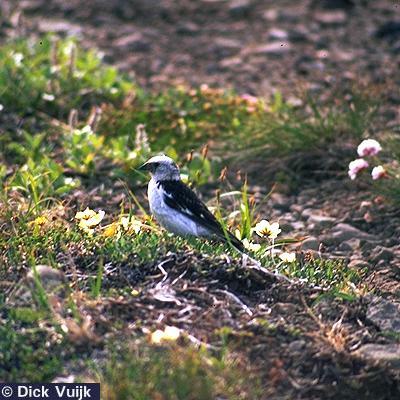 Typical seed-eating birds of Iceland are the snow bunting (Plectrophenax nivalis) snow bunting (Plectrophenax nivalis) (in all wilderness regions of Iceland - prefers rocky country) and the redpoll (Carduelis flammea) redpoll (Carduelis flammea) (typically a bird of woods, towns and forest plantations). Like the generalists there is no compelling need to migrate. However some migration takes place but in case of the redpoll the pattern is complex an not always regular. 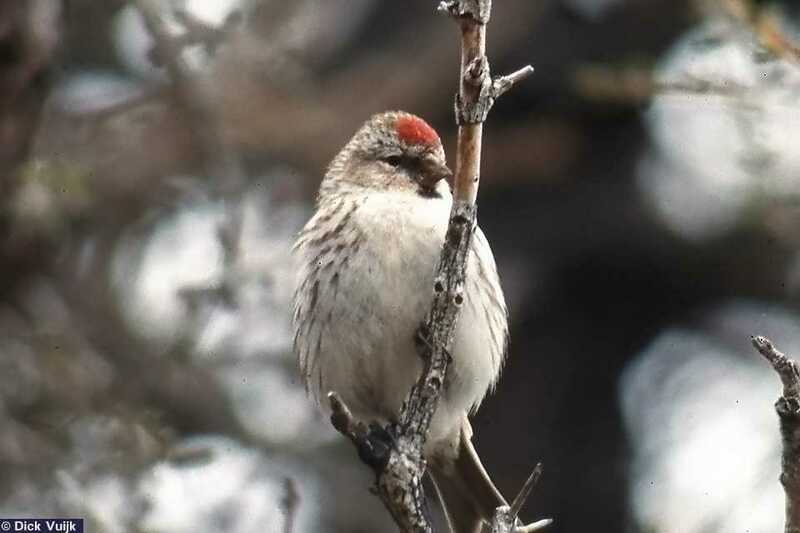 Also redpolls from other areas (Greenland) come in winter to Iceland. 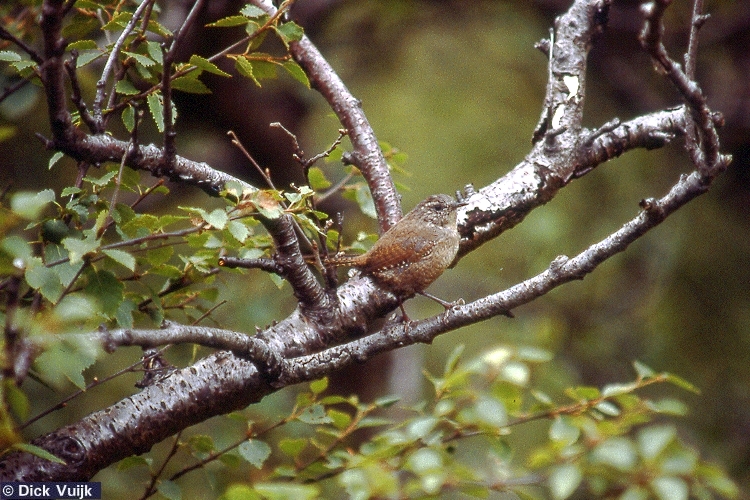 For both redpolls and the wren the size of the populations can be very much affected by cold winters, a typical characteristic of small residential birds in Northern Europe. 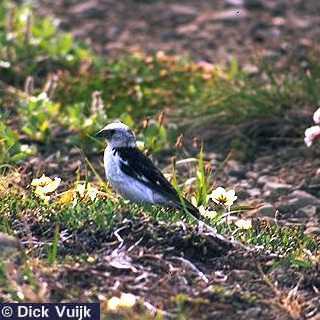 Other less common seed eating birds on Iceland are the brambling (Fringilla montifringilla) and the chaffinch (Fringilla coelebs). 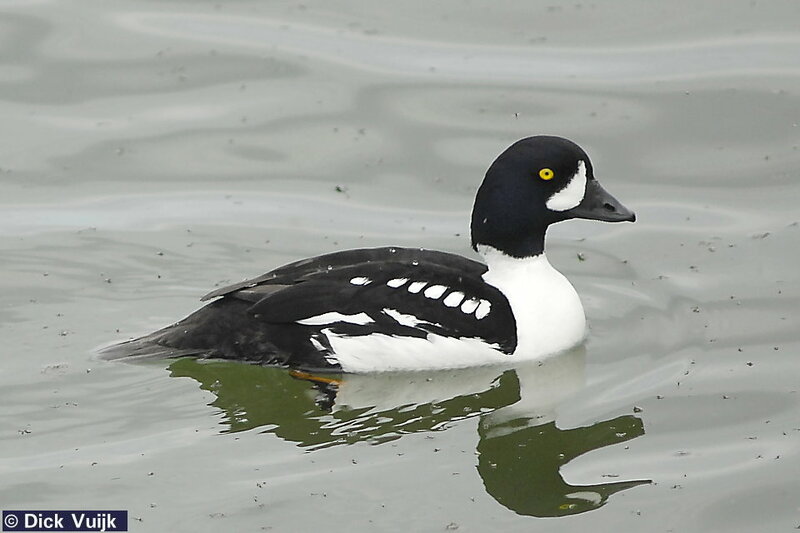 Both are rare breeders and winter visitors . A fourth group of the passerine's are the corvids, the family of the crows. Although one could technically place them as generalist pur sang their much larger size sets them apart from other passerine's. 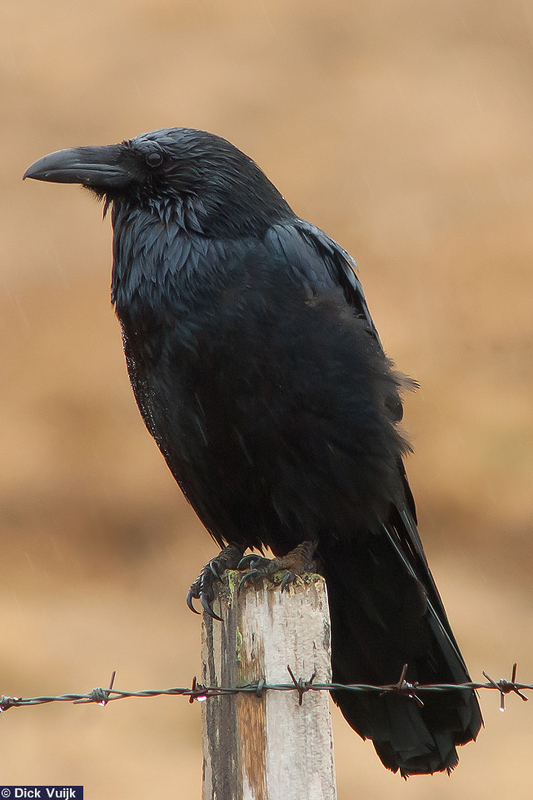 The only "real" Iceland corvid is the raven (Corvus corax) raven (Corvus corax) . They are common all over Iceland but are often found near human settlements where they can find food. Other corvids that can be seen occasionally on Iceland are the rook (Corvus frugilegus), the hooded crow (Corvus corone ssp. cornix) and the jackdaw (Corvus monedula). 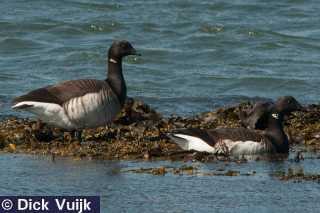 Barnacle goose (Branta leucopsis) Barnacle goose (Branta leucopsis) and the Brent goose (Branta bernicla) Brent goose (Branta bernicla) . 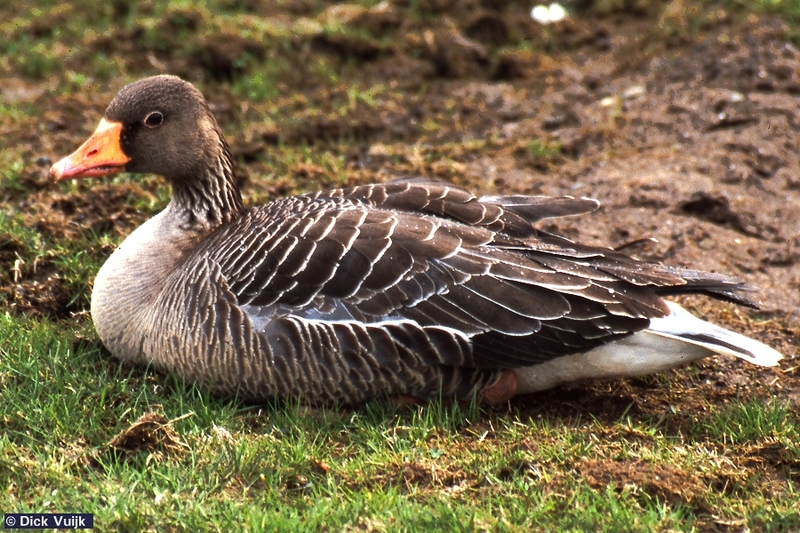 Another goose species using Iceland to feed in order to strengthens themselves in the trek from the British Isles to Greenland/Canada belongs to the Anser section (like the Iceland breeding grey lag and the pink-footed goose). 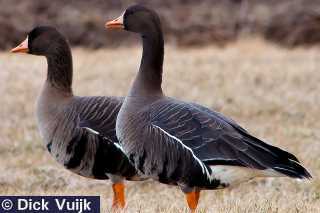 This is the White-fronted goose (Anser albifrons) White-fronted goose (Anser albifrons) . The brent goose is very much a bird of coastal regions (does feed on grasslands near the coast but is found more often feeding along shallow shores - like seaweed vegetations). 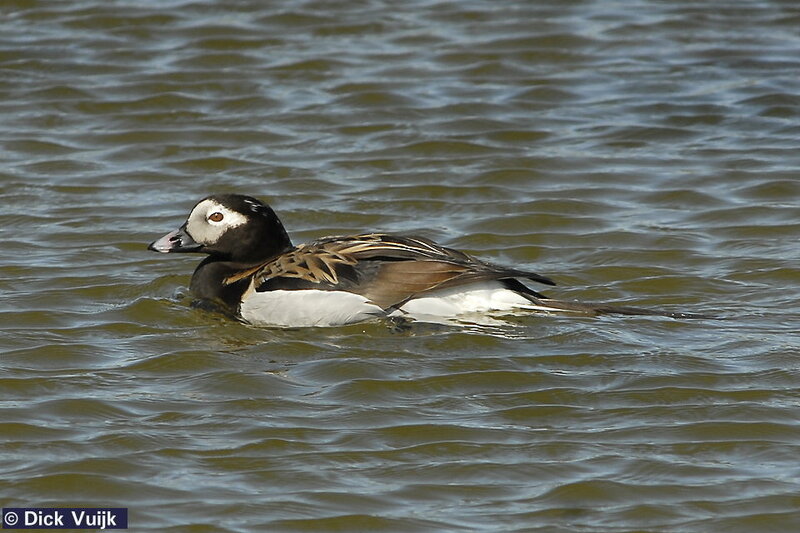 During the migratory stop-over on Iceland they generally stay along the south-western and western coasts. 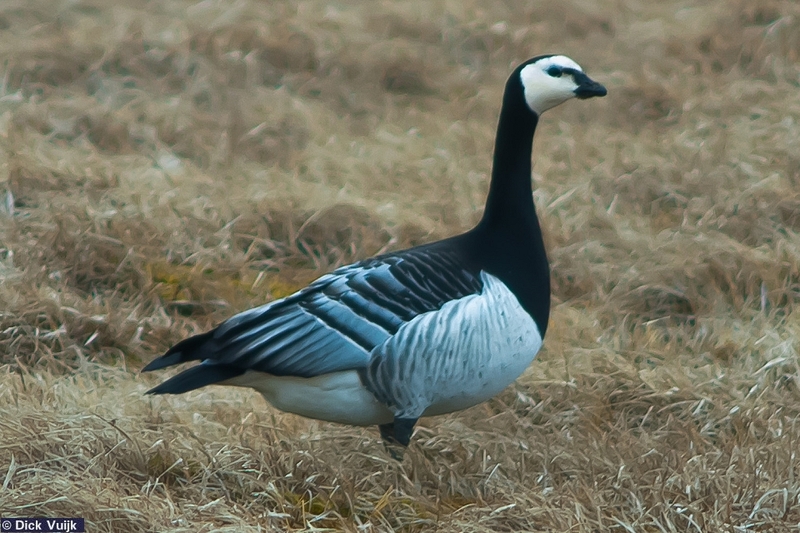 The barnacle geese can be found in early spring in mainly in the northern regions of Iceland but in autumn they can be found in the southern parts of Iceland. In the south there are a few breeding barnacle geese pairs. The white-fronted goose can be spotted on Iceland both in spring as in autumn in the southern and western regions of Iceland. 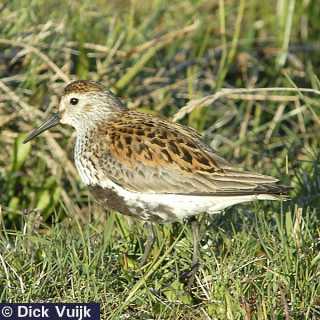 Two small wader species also "use" Iceland as a stop-over to gain strength to and fro from Greenland and/or North-Eastern Canada. 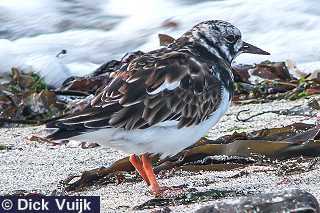 These are the knot (Calidris canutus) knot (Calidris canutus) and the turnstone Arenaria interpres) turnstone Arenaria interpres) . Only a very few knot birds stay during winter on Iceland. 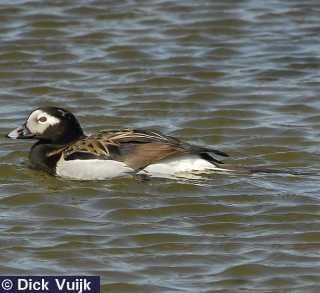 Turnstones though, has both winter residents as well as stop-over migratory populations. 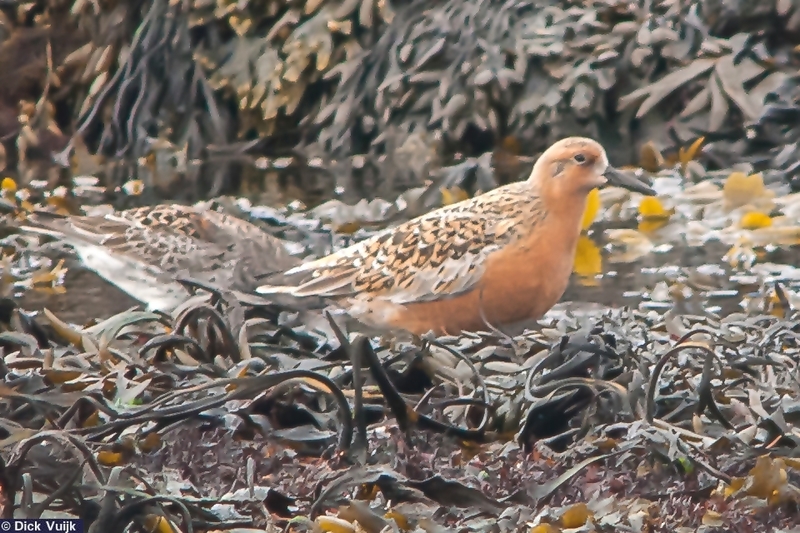 Both species can best be spotted along the southern and western coasts. Elsewhere they can also be seen along the shores. Reload the general home page of "The Natural History of Iceland"
Dutch: Ga naar de Nederlandstalige versie van "De Natuur van IJsland"